The dark and dramatic shagreen surface of the Cobham coffee table from Robert Langford gives a striking focal point. 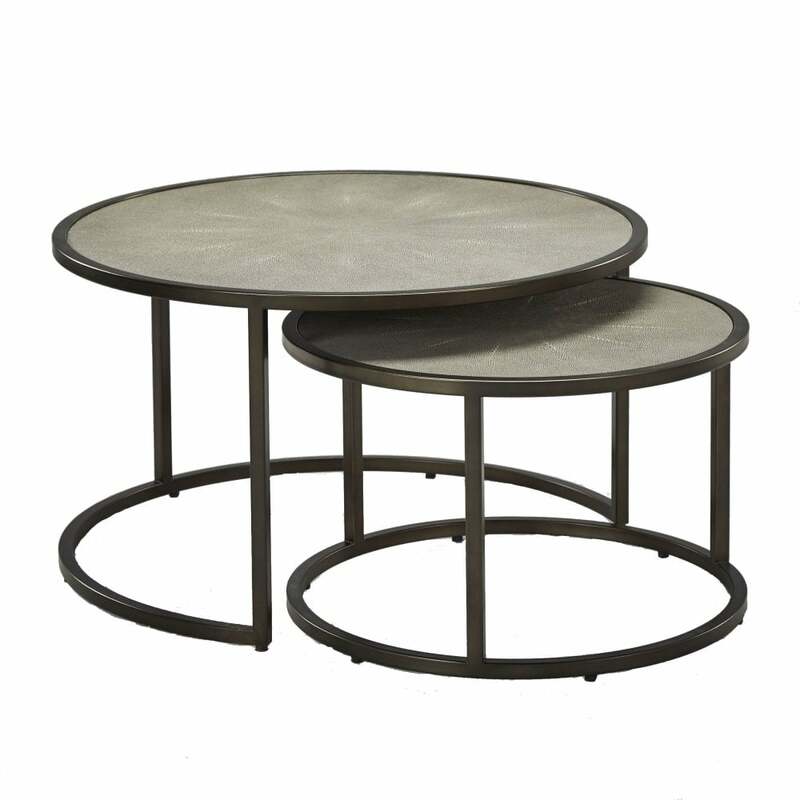 The luxurious table top sits on a beautifully bronzed, circular, metallic base. The large coffee table features an interlocking smaller version which comfortably sits underneath for a secret storage solution. Extend the shagreen detailing throughout your home by including other related products from Robert Langford.